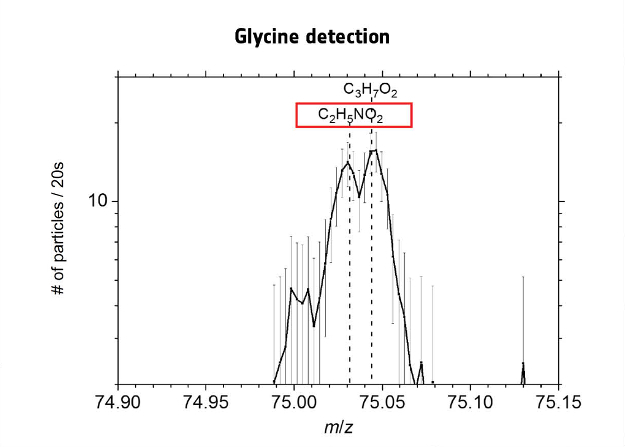 Spectrum indicating glycine (C2H5NO2) detection on 9 July 2015. The simple amino acid glycine is a biologically important organic compound commonly found in proteins. Details about the detection can be found in the article Rosetta's comet contains ingredients for life, and in the scientific paper by K. Altwegg et al., published in Science Advances.